Yin and Yang tourbillon, two timepieces, two expressions of the Manjaz values: the entire Swiss expertise and tradition combined with Chinese philosophy. 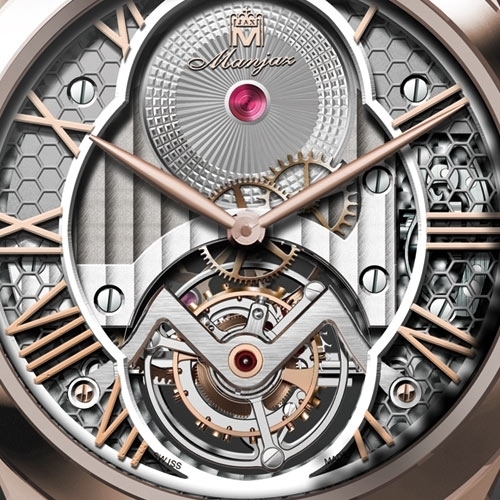 This concept has been forged under the guidance of watchmaker Cédric Grandperret. 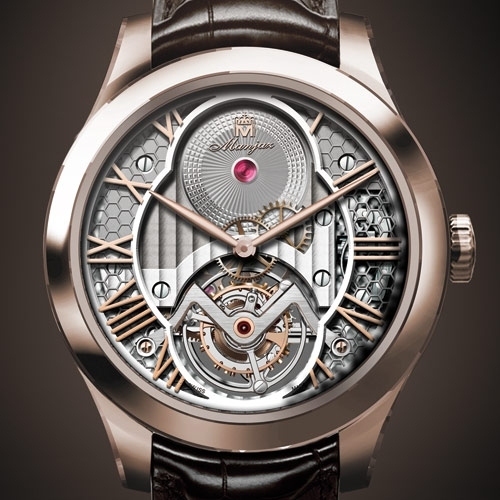 The prime purpose is to highlight the supreme horological complication, the tourbillon. Majestically positioned at 6 o’clock, it enhances the symmetry of the dial and its geometrical play: vertical Côtes de Genève, Roman numerals and a guilloché disc engraved with the brand logo. Moreover, Manjaz is also keenly aware that a modern touch is very important, and the dial is finely crafted, hollowed and sublimated. The 41 mm pink gold case provides a perfect setting in which to magnify this cosmopolitan harmony. The Yin – powered by the MAZ-001 calibre – and the Yang – by the MAZ 022 calibre – face off in a splendid mechanical duel. It will now be up to enthusiasts to choose between these two protagonists.